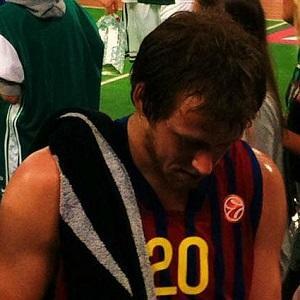 Australian basketball player most famous as a member of European teams like Maccabi Tel Aviv BC, with whom he won the 2013-14 European championship. He also won the 2011 and 2013 FIBA Oceania titles with the Australian national team. In 2014, he joined the Utah Jazz. He attended the Australian Institute of Sport and became the NBL Rookie of the Year in 2007. In 2006, he became the first-ever signee of the South Dragons in the National Basketball League. He got engaged to Australian netballer Renae Ingles and they married in 2015. He was coached to a Euroleague title by David Blatt, who would go on to become the head coach of the NBA's Cleveland Cavaliers.